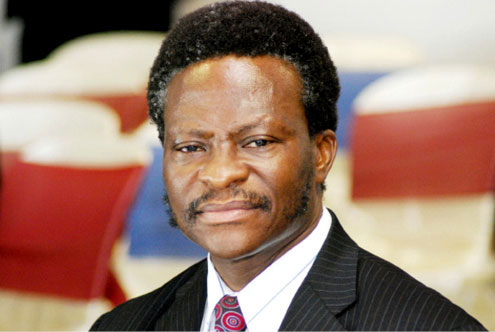 Dr Harold Demuren was removed as the Director-General of the Nigerian Civil Aviation Authority on Monday. This however came as a shock to some aviation stakeholders who have now expressed their shock over the sack when they spoke with the News Agency of Nigeria (NAN) shortly after the Federal Government announced the sack on Monday night. National President of Air Transport Services Senior Staff Association of Nigeria (ATSSSAN), Mr Ben Okewu, expressed his shock regarding the removal saying, "in spite of the transformation he brought to the aviation industry". "Under his leadership, both passengers and international regulatory bodies began to repose confidence in the aviation sector in Nigeria". “I commend him for his meritorious service,” Okewu said wondering why Demuren was not allowed to complete the processes he initiated which aimed at enhancing safety of aircraft during flights, something could have taken the sector to greater heights. Retired Capt Charles Asuen said Demuren did his best to give a sense of direction in the aviation industry, while in office. Former director at NCAA, Asuen, also expressed shock at Demuren’s sack. He noted that he had played his part well, but could not have satisfied everybody. “There has been pressure on him to resign from some quarters for some time now,” he said. Asuen also said that it would be challenging to find one who could step into his shoes with the reforms he had implemented in the last seven years. Also, an industry player and unionist, Mr Abdulrasak Siedu, Secretary-General of Nigerian Aviation Professionals Association(NAPA), described Demuren’s removal as a big blow for the aviation industry “This is a big blow which will certainly have a ripple effect in the aviation sector. “Though, nobody is indispensable, Demuren tried his best for the aviation sector,” he said. NAN reports that Demuren was appointed in 2006, after successive air disasters in the aviation sector. Before his removal, the National Assembly Joint Committee on Aviation, which investigated the Dana Air June 3, 2012 crash, in which all 153 passengers on board died in Iju /Ishaga area of Lagos State, had called for his sack.